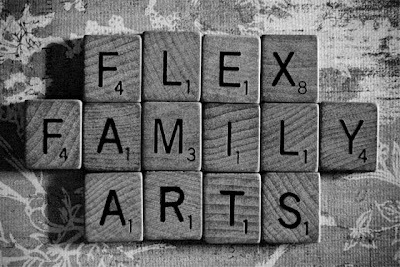 This month we have some great new sponsors who would love to share their blogs, Etsy shops, and websites with you! Their reader discounts are highlighted below in bold. Our little blog receives over 200,000 page views per month and would love to have you listed as one of our JULY sponsors. Just contact us for a rate sheet! Hello, my name is Krista. Mama to Philly, my Papa Bear; and Niamh, my little nerd. 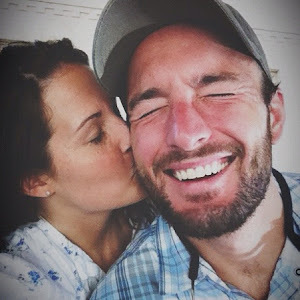 I have been happily married to my blind date for almost 10 years. The Saturated Canary blog is a place where I enjoy writing about the beauties in life that inspire me as a person and an artist. Little things that make my day. I'd be thrilled if you stopped by and introduced yourself! PaperPhine's passion are finest Paper Yarns and Paper Twines that have long been forgotten but are now slowly rediscovered as an environmentally benign and sustainable material. Based in the heart of beautiful old Vienna, Austria, we're in love with our lightweight yet tough and sturdy, simple and nevertheless elegant material that offers endless possibilities. 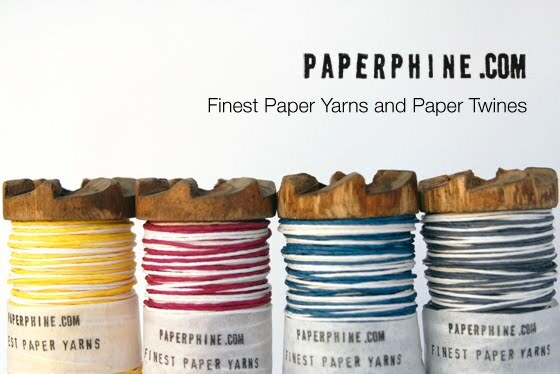 Have a look at what we're up to at our blog http://shop.paperphine.com/, and discover our paper yarns and twines for yourself, too. For the month of June enter LETTERS at checkout at the PaperPhine Shop or our Etsy shop and and receive 12% off your total order. 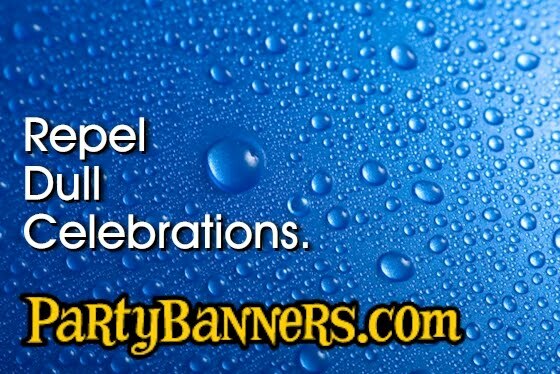 Partybanners.com was created to help anyone announce and celebrate the special people and events in their lives! Our online catalog of personalized vinyl banners contains the web's widest selection of creative banners for any party or event - including banners for schools, businesses, churches and more. 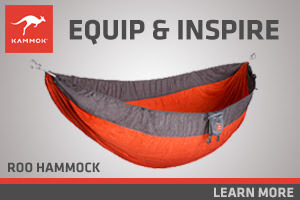 Safe and easy ordering, fast production, quality materials and affordable pricing = great value! Have fun and join the thousands of our happy customers today! 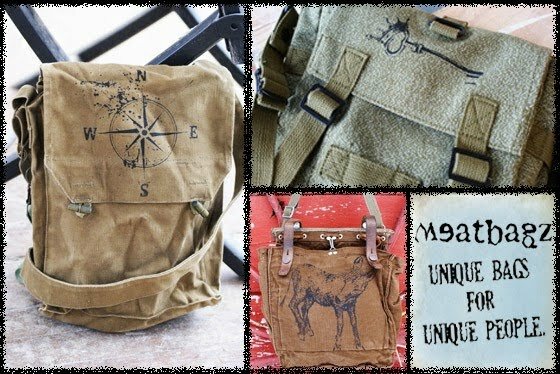 20% off Sale through June - no coupon necessary! My name is Kaitlin Patience and I blog at isavirtue. 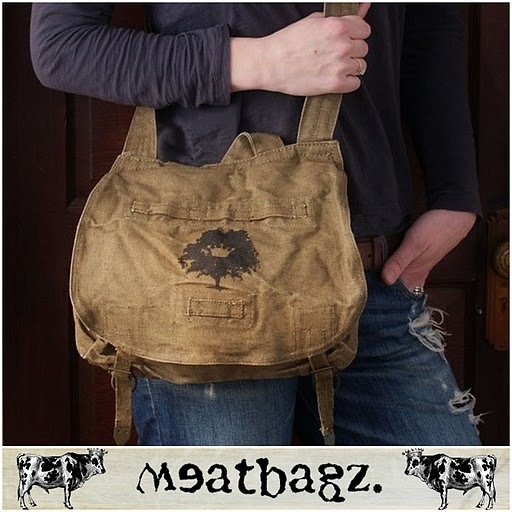 Patience is a virtue and giving handmade indicates that you've taken the time to show you care. All isavirtue stationery it cut and stamped by hand. 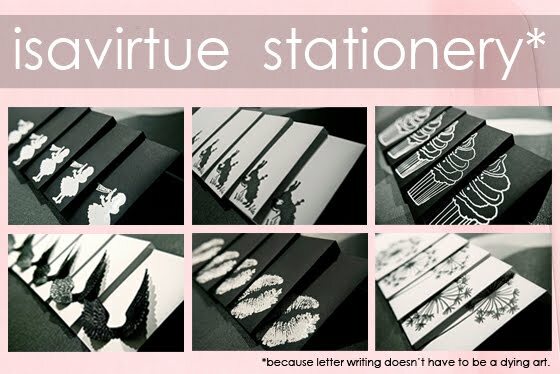 Patience is also a virtue when it comes to letter writing, and isavirtue offers a variety of chic black and white envelopes and writing paper for this purpose. Your receiver is guaranteed to swoon with excitement. Use the code "ILOVEPAPER" at for 10% off at checkout. 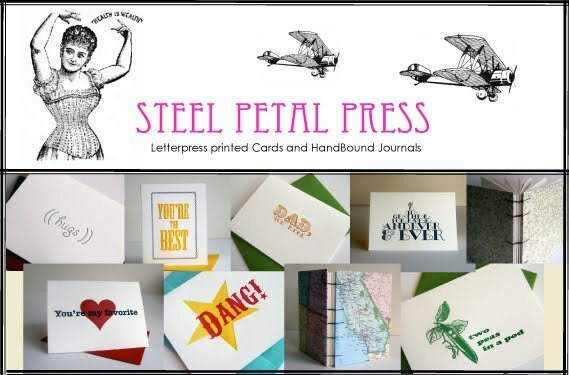 Steel Petal Press is a Chicago based printing and letterpress operation, run by me, Miss Shayna. I love the mechanics, machinery and process of letterpress printing as well as the gorgeous impression each print leaves on a page. I hand feed each card individually through the press making each one slightly different and unique in it's own way. Enter the code: TodaysLetters at checkout for 10% off anything in my shop until June 30th! 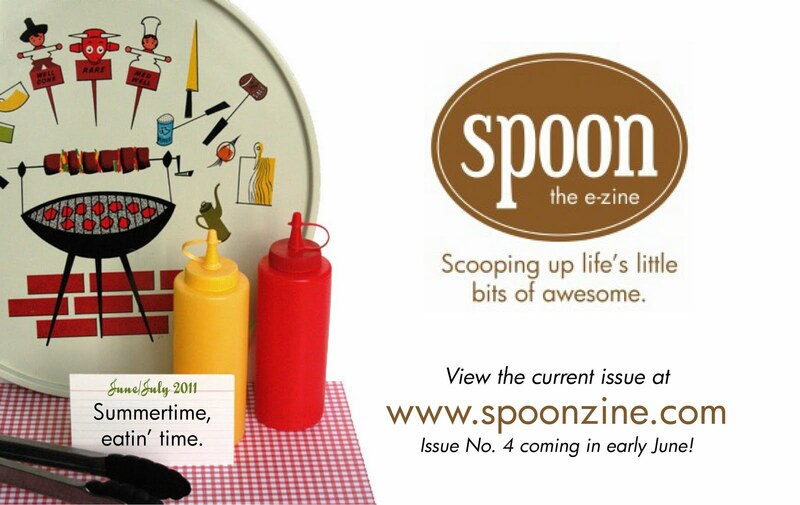 Spoon is a bi-monthly, digital zine created by Tina Jett of Scatterbox. 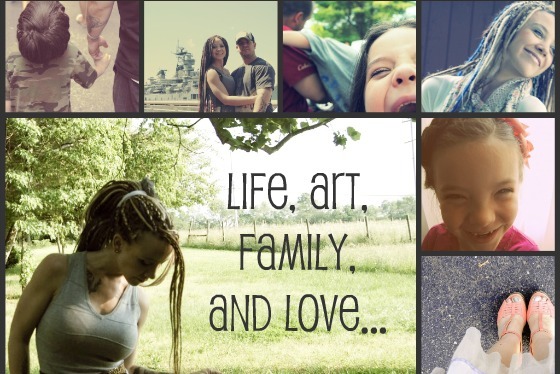 It is based on the little things that make life awesome: inspirations, experiences, and simplicity ... A virtual pot pie of art, photography, food, travel, events, and life in general. Spoon is FREE! Visit www.spoonzine.com to check out the latest addition, find out how you can contribute, and subscribe to have new issues delivered to your inbox (only three left!). Stay tuned for Issue No. 4, covering good things summary and foody. Noms.